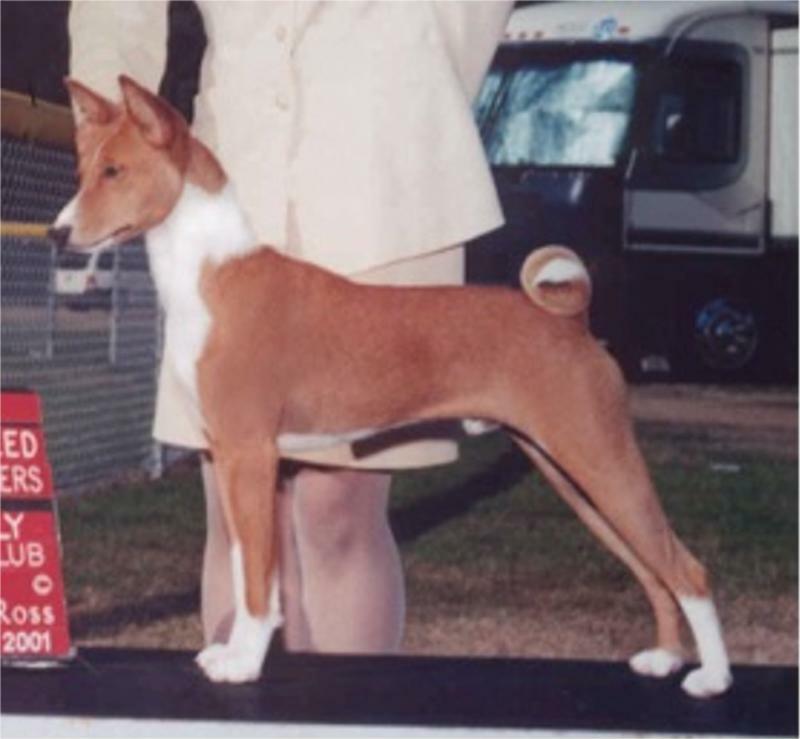 Am/Can Ch Terrarust's My-Tym to Appeal JC "Bailey"
Bailey was bred by Terray Boomir of Terrarust Basenjis out of a stud belonging to Mary Ann Palm of Palm Desert Basenjis. 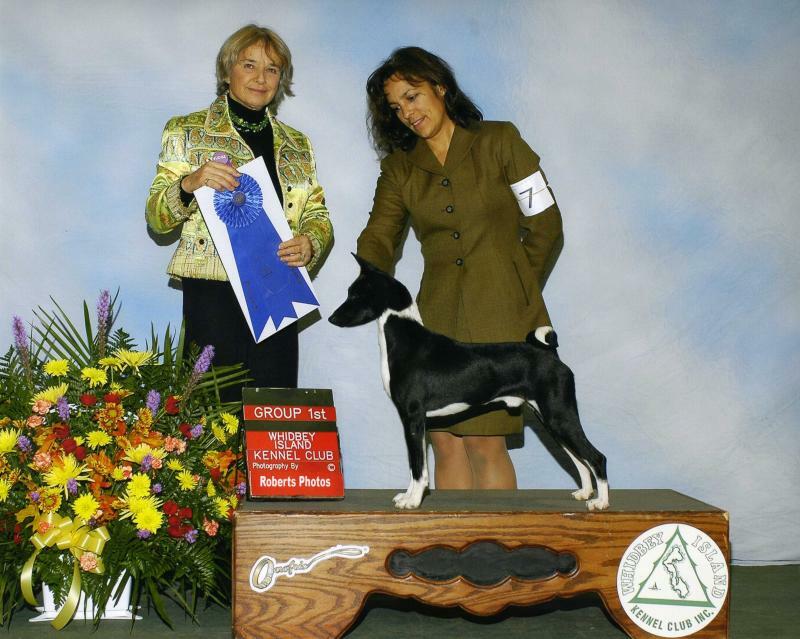 He was the first dog I championed and reached #1 by the age of 3 years. Bailey has tested "probably clear" for Fanconi, hips are OFA good and his eyes have minor iris/iris ppm. At 9 years old he took his first AOM from the veteran class and continued by recently taking another AOM from the veteran class at 11 years. Am/Can Ch FoPaw's Designated Driver "Sober"
Sober is the first champion born and bred in our home. He ranked in the top ten his first two years showing and reached #2 in Canada in only 14 shows. He loves the showring and after retiring worked to train a new junior handler to have his passion for the ring. He is best at training puppies for us and it has come to be known as "Soberizing" a litter. 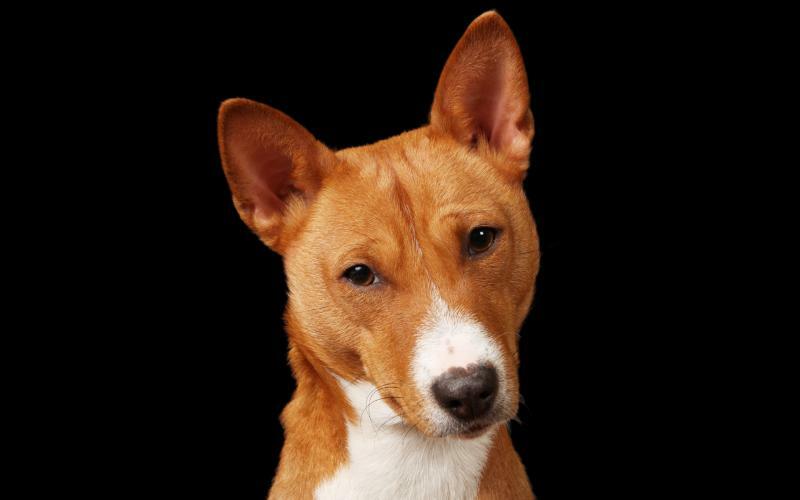 He is a strong, loving and fair alpha lead dog. He loves small children, walks on the beach and quiet evenings at home...he is available to that very special girl for stud. He tested "probably clear" for Fanconi, hips OFA good, eyes minor iris/iris ppm in one eye. 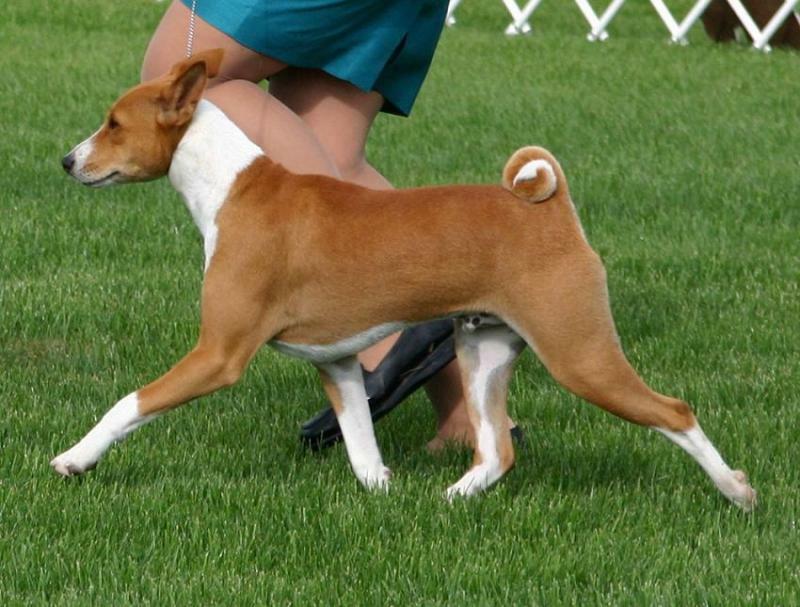 Ch FoPaw's Oh My God "Odin"
Odin was co-bred by Jordan Reed of Atarasi basenjis. When Odin was born we sent photos of him out to breeders and friends, from the time he was 5 weeks old the responses we got back were all the same "OH MY GOD" that black and white puppy is gorgeous. Guess it stuck. he finished his championship quickly and was in the top ten before turning 2 years. Odin tested "probably clear" for Fanconi, hips are good and eyes iris/iris ppm. Odin is a father for the first time this past fall...see his daughter Halo on the girls page. 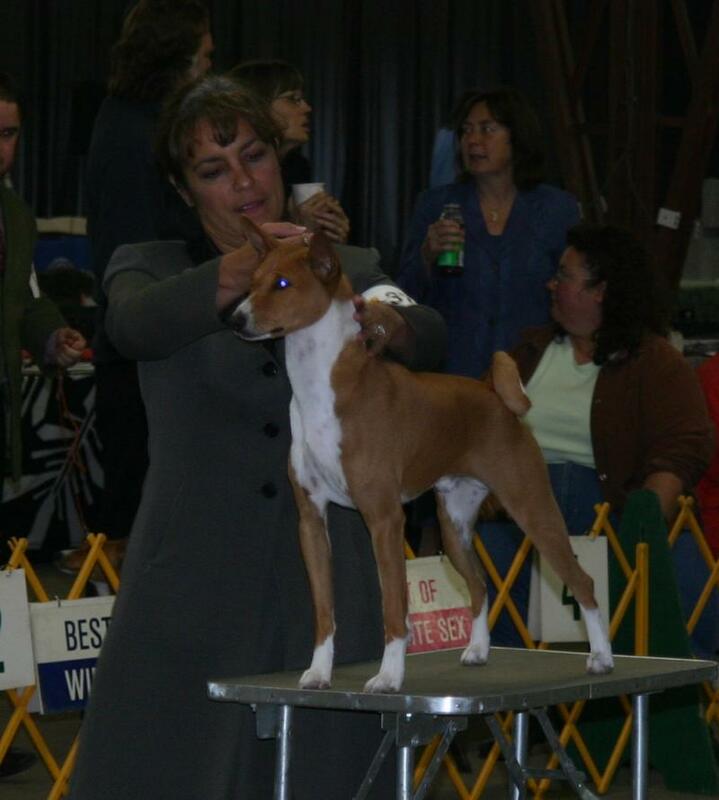 Ace started his show career winning BISS from the 6-9 month puppy class at BCONC. 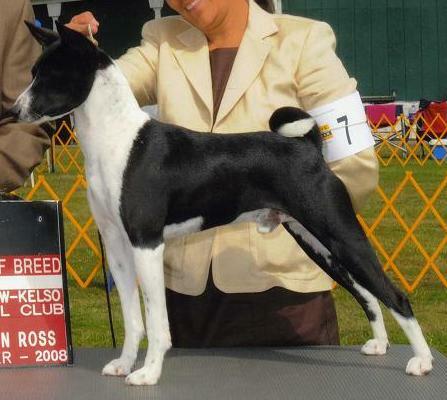 He finished his championship a month later winning Best of Breed and Group 1 over top specials. 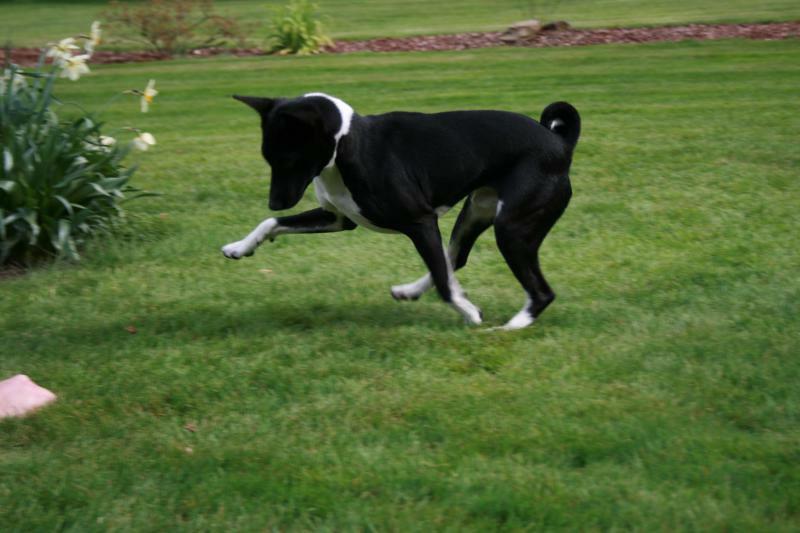 Ace is following in his father's (Bailey) footsteps and after siring his first litter his kids are following as well. See his daughter Clover in our girls page. Ace tested "probably clear" for Fanconi, hips prelimed good and eyes have minor iris/iris ppm one eye. Ace is co-owned by good friends Patti and Ed McCarroll who also own Ace's mother Panda. Ch FoPaw's Quiet Riot "Riot"
Riot is the newest champion at FoPaw's, he finished from the bred by class with 3 majors in very competitive shows. 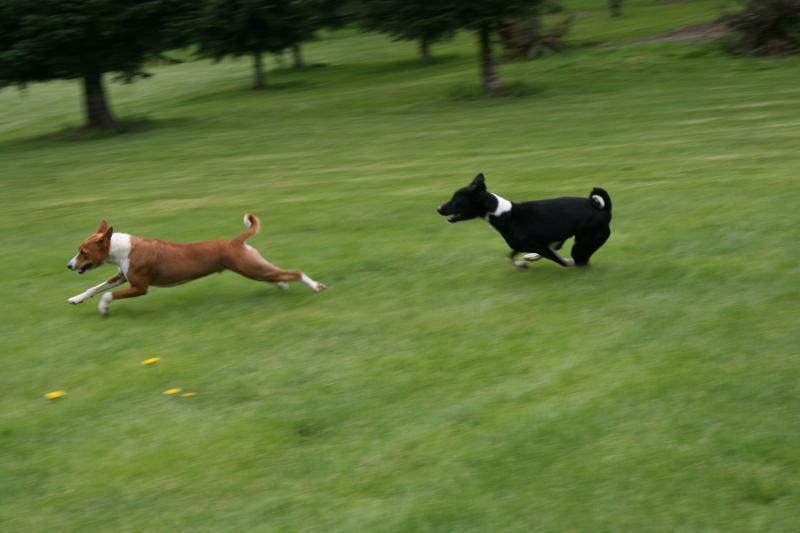 Riot is best friends with his brother Ace and as you can see they spend much of their time running our property. Riot has tested "probably clear" for Fanconi, his hips have not yet been done and his eyes had one iris/iris ppm in one eye very minor. FoPaw's Atarasi Makes U Wonder "Stevie"
Stevie is one win away from his championship, his personlity shows through in his photos. He tested "probably clear" for Fanconi, hips are excellent and his eyes had one minor iris/iris ppm in one eye. He is currently in training doing therapy work at the rehab facility were I work.